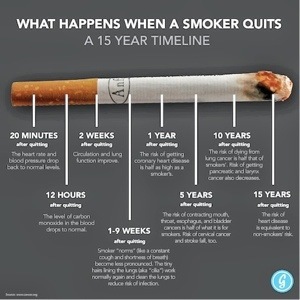 Most people simply know that they really want to stop smoking and, if you are determined to quit smoking, I can definitely help you. Smoking Cessation with Hypnosis is the hands down best method of quitting smoking according to studies and three sessions are the best way to quit ensuring over a three week period that you stop and stop for good without Weight Gain. For most people the three part course of hypnotism and NLP will be enough. Latest studies show three parts are best to stop smoking for good. I will give you all the support you need and we will deal with WHY you smoke – so you don’t have to smoke any more and won’t miss it. Some people describe smoking as their friend but actually it is more like the friend who turns up drunk and smelly at your important party and who is robbing your bank account while at the same time giving you a one in three chance of dying from heart attack, stroke, emphysema or cancer – to name a few lethal things associated with smoking! The course costs for a limited time £180 for three ninety minute sessions PLUS THREE FREE CDs or MP3 files as backup. I can take only a limited number at that price so please act soon!